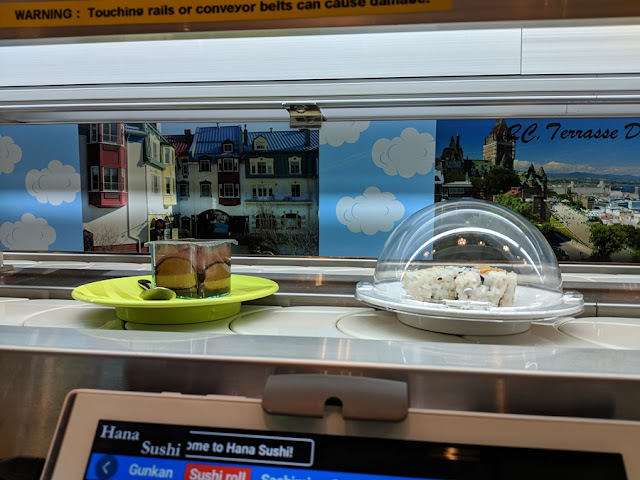 So while I was bored at work on blogto, I discovered this new sushi place called Hana Sushi that serve sushi on a rotating conveyor belt. 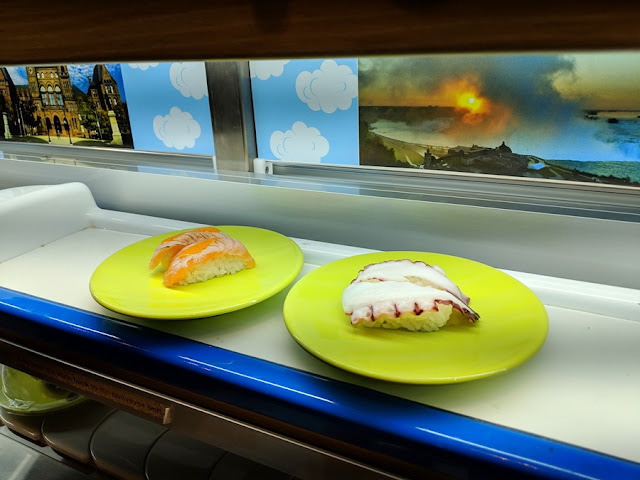 But what's even cooler is that they have food served on a monorail bullet train (shinkasen) just like the ones you can ride in Japan. 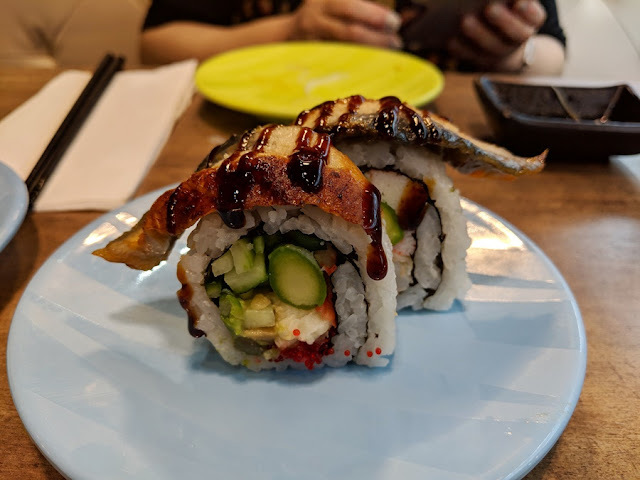 And as a food lover, especially for Japanese food, I decided to go check it out. 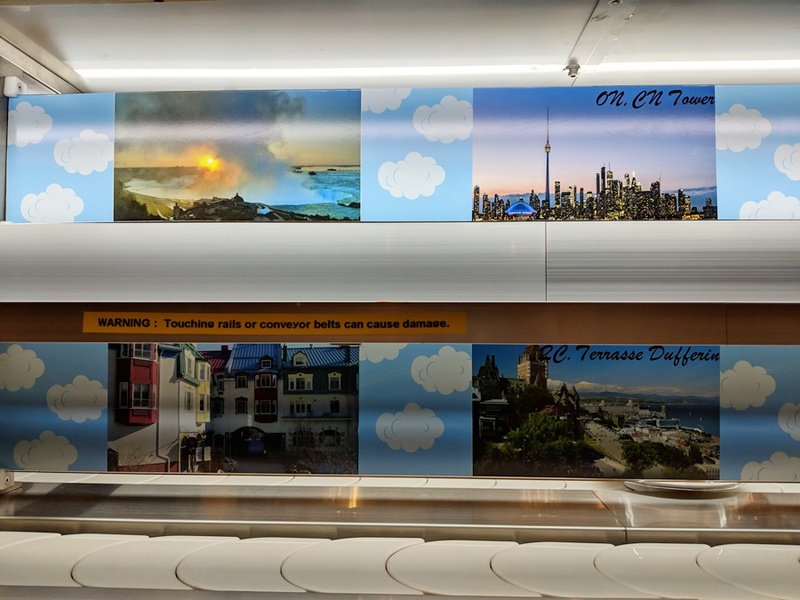 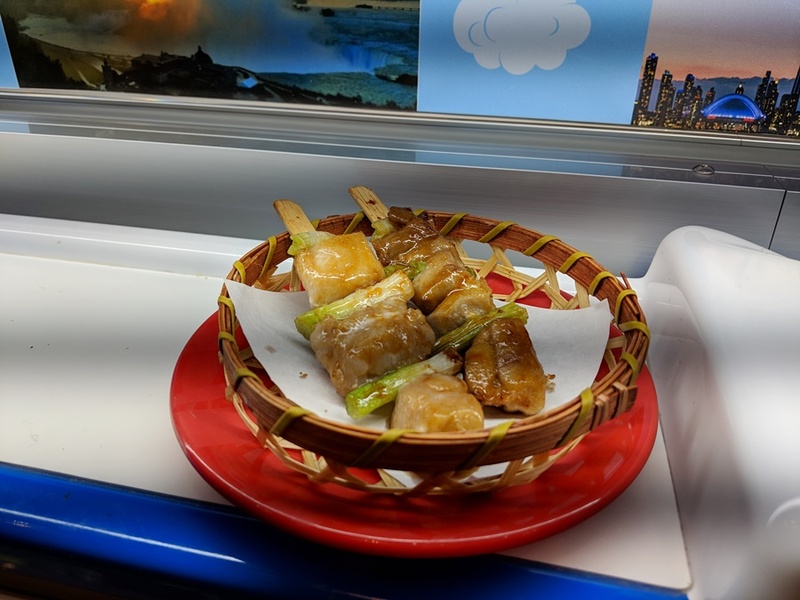 I like that they had pictures of places from all over the world posted on the wall to make it look like the bullet train is traveling to places as food is served. 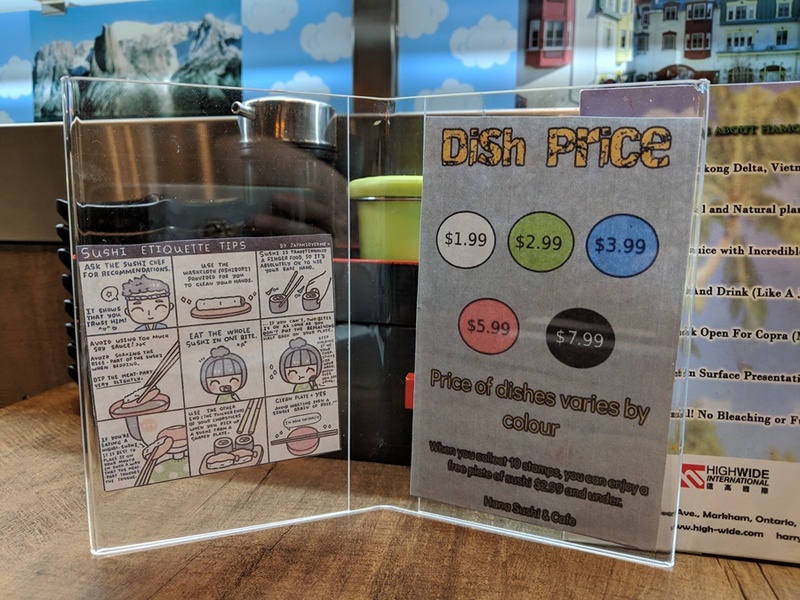 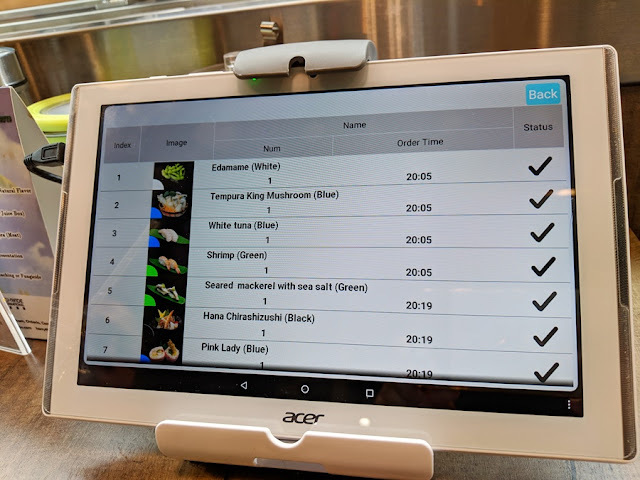 The prices for each dish is sorted by a colour-coded system with white being the lowest priced and black being the highest priced and with green, blue, and red the in between. 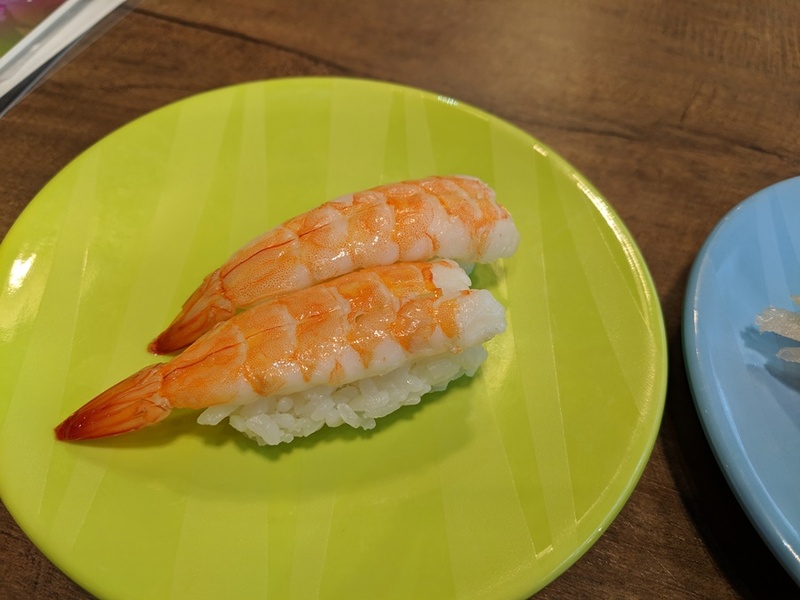 I like that they even had some sushi etiquette tips to educate their customers on how to properly eat sushi, lol. 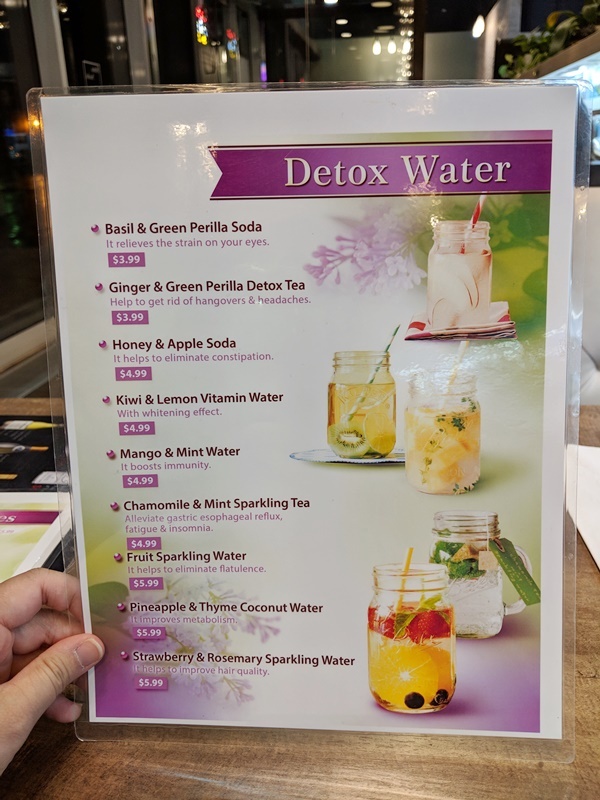 For drinks they had alcohol, smoothies and even detox water! 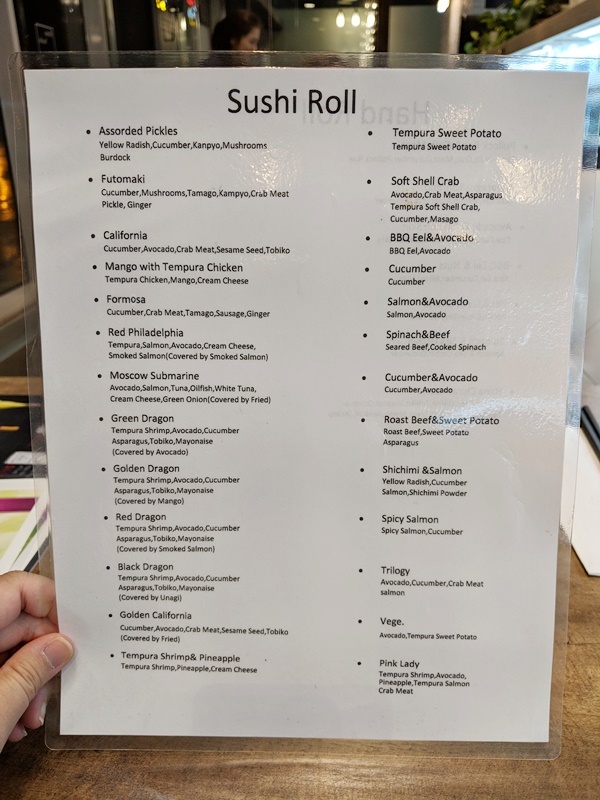 A menu explaining the different type of sushi rolls and the ingredients in it. 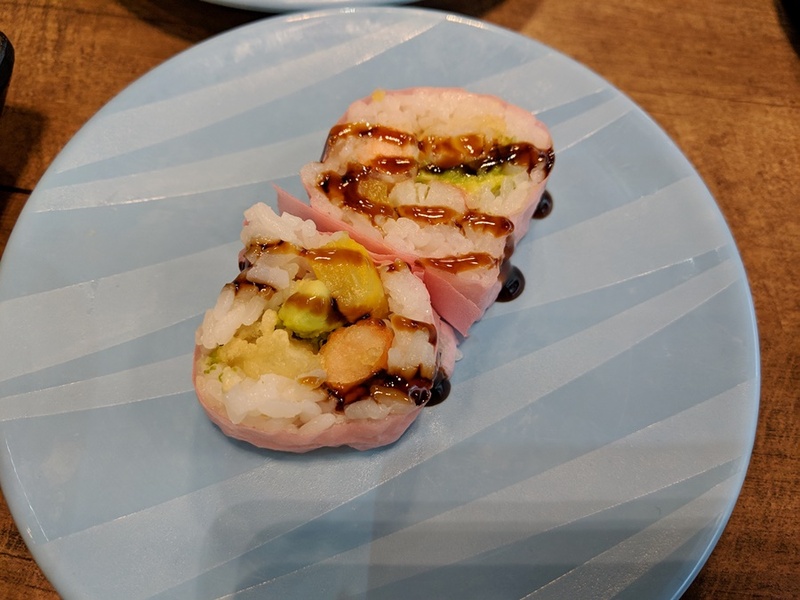 The Pink Lady, Red Dragon, and BBQ Eel & Avocado was among my favourite. 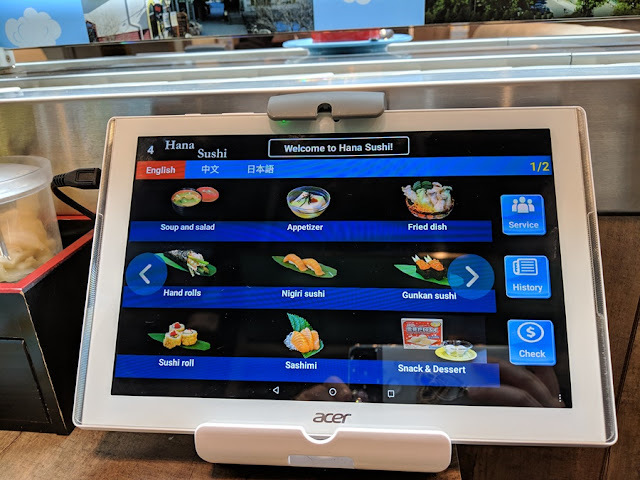 You can order food from the touch screen menu and it will come on the bullet train. It also shows you the status and the time you ordered as well. 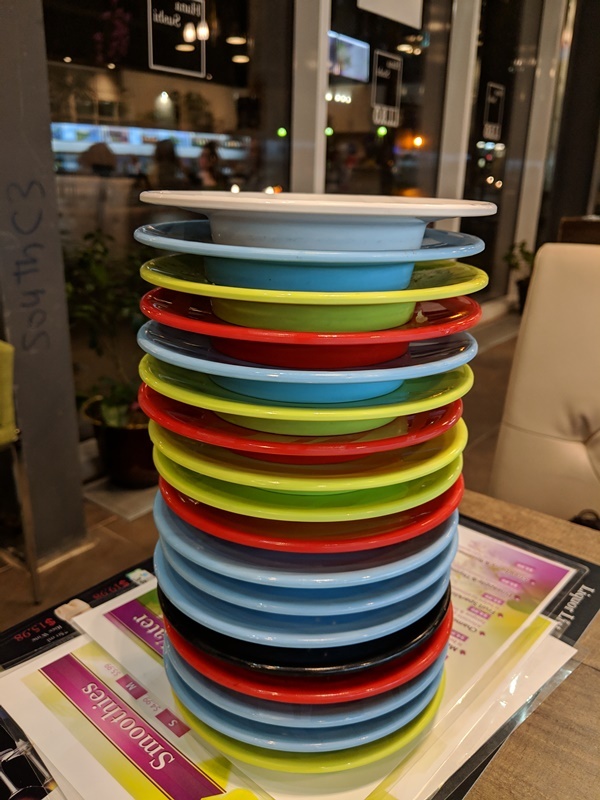 In the end, my friend and I ate a total of 18 plates of food! My stomach was so full and satisfied. 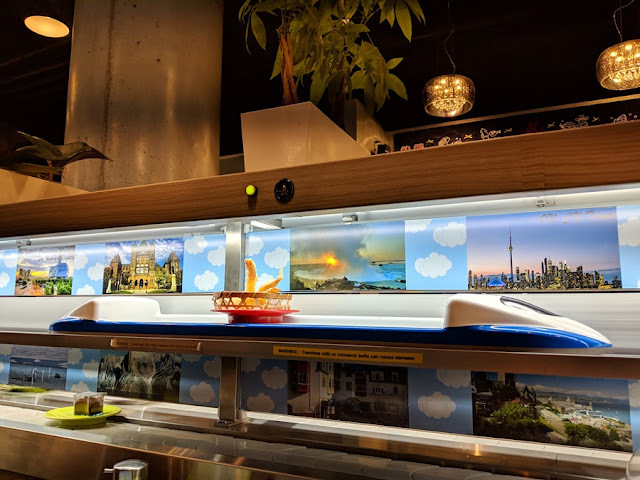 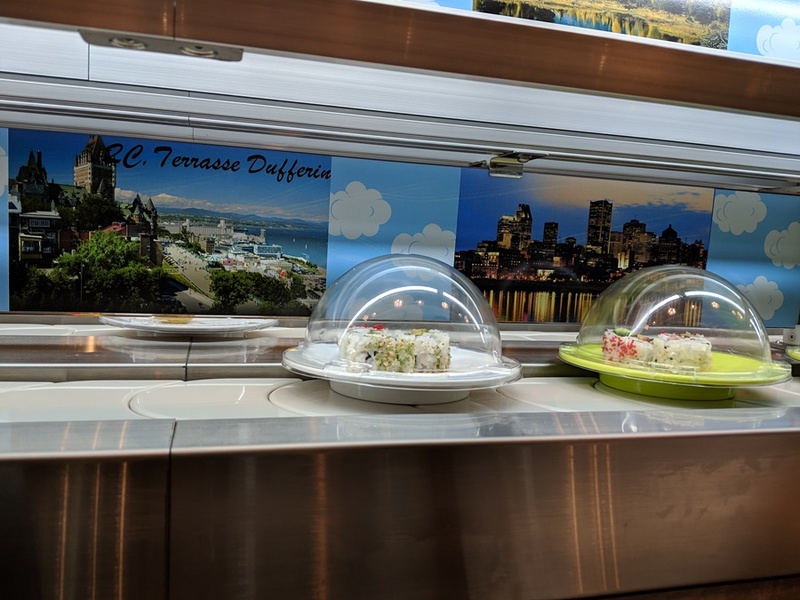 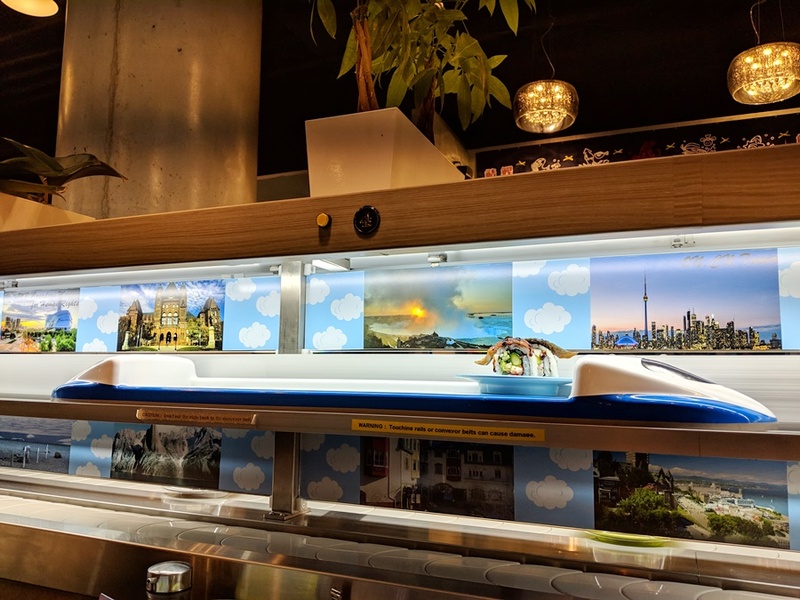 Hana Sushi is Toronto's first-ever restaurant with a sushi conveyor belt and monorail. The machinery is even all imported from Japan. 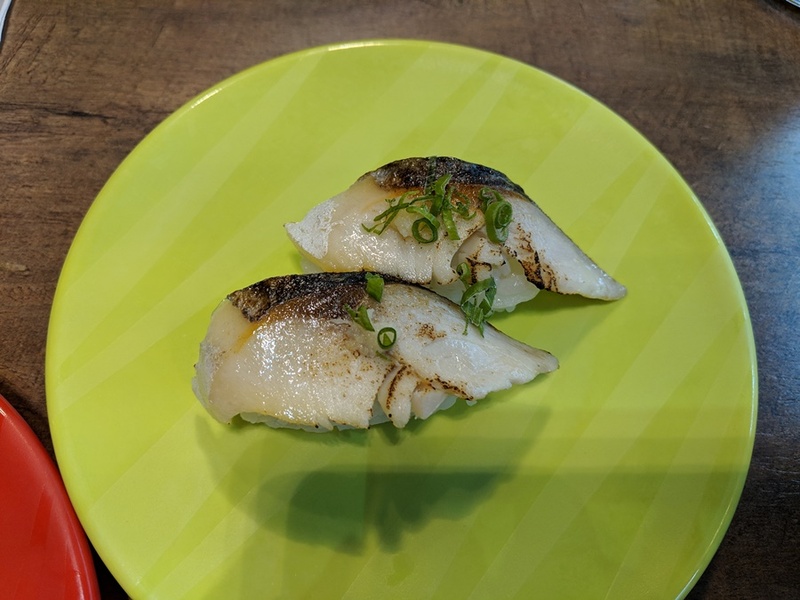 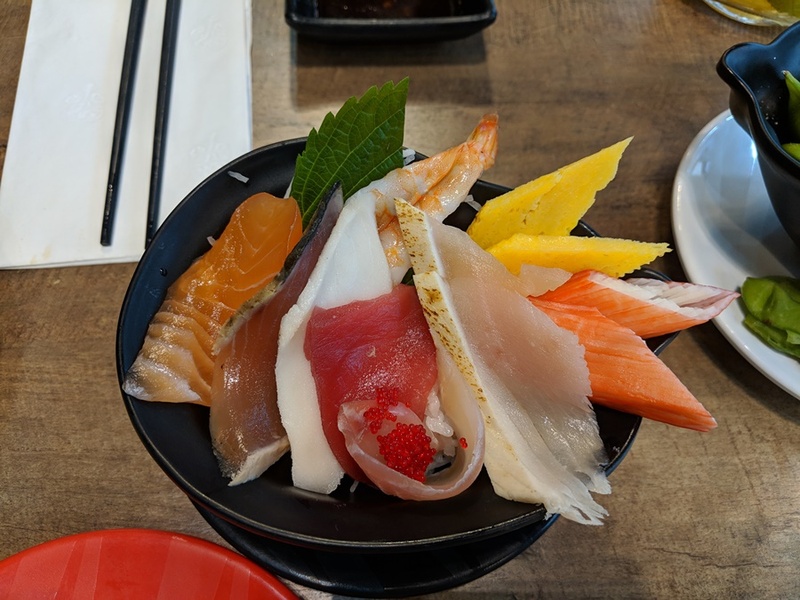 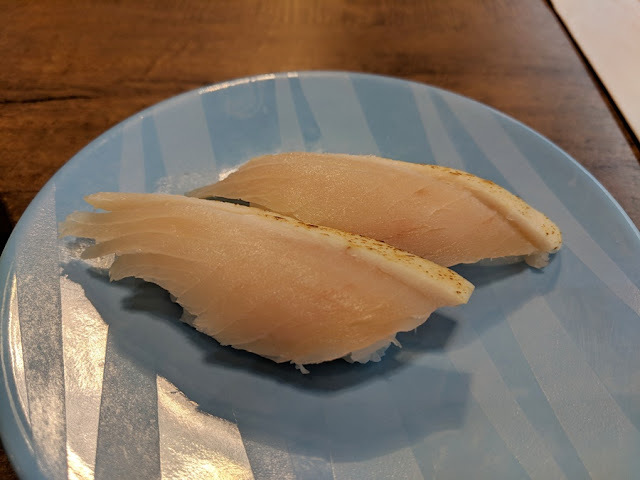 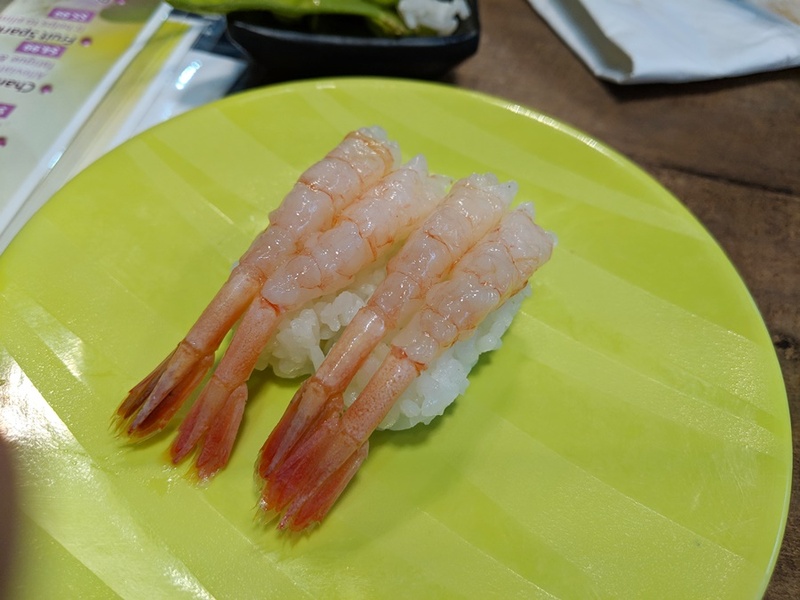 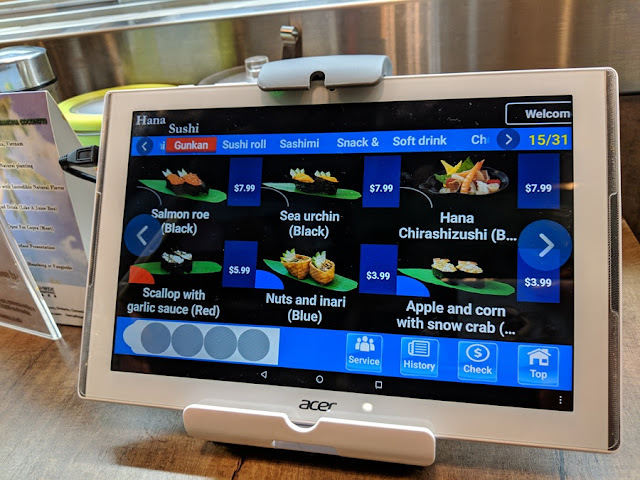 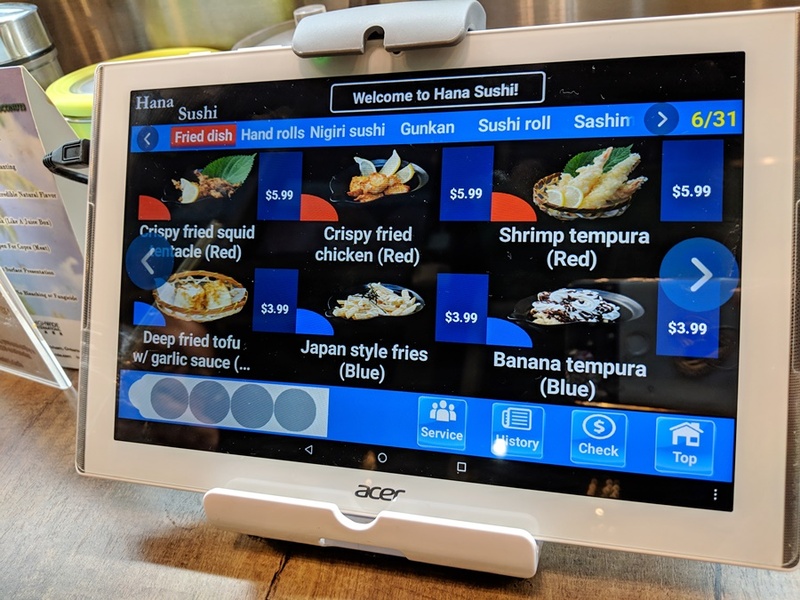 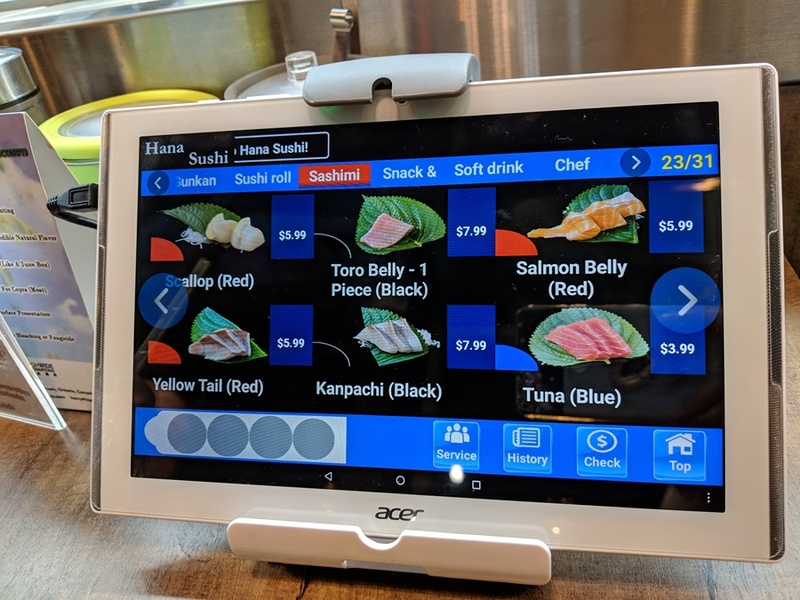 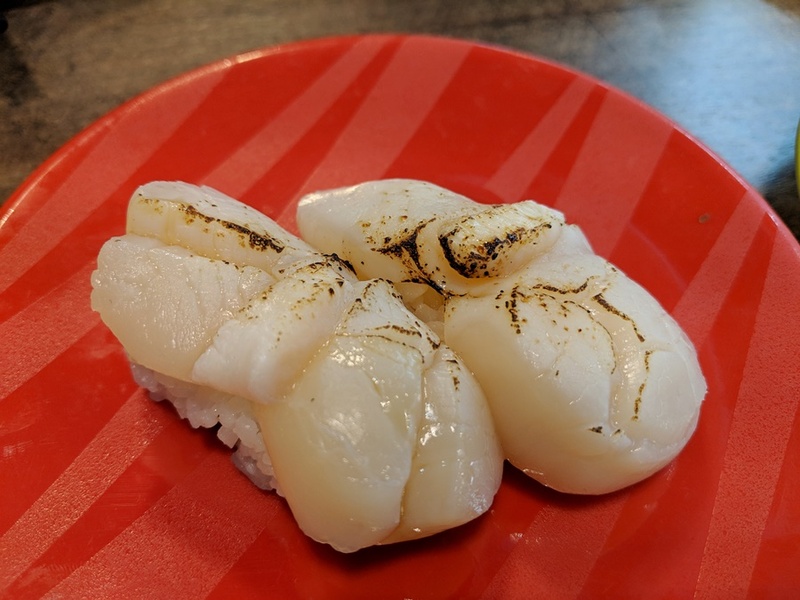 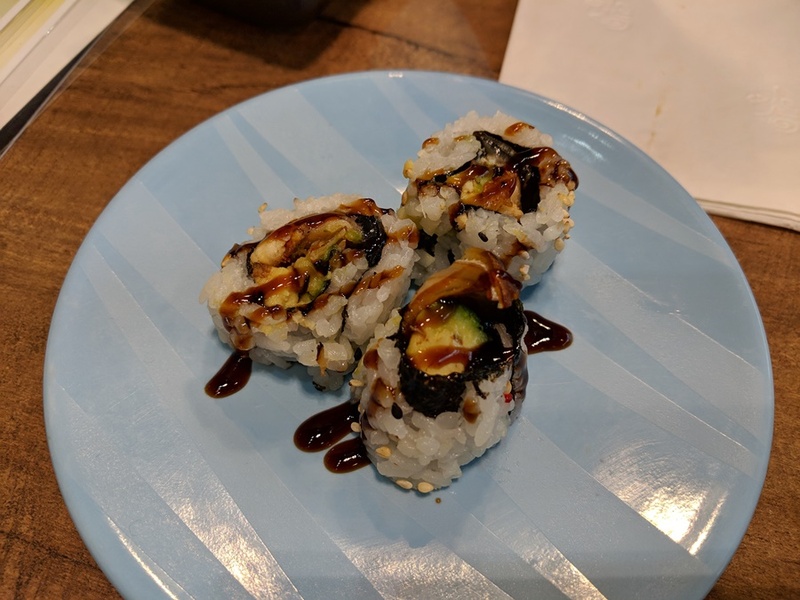 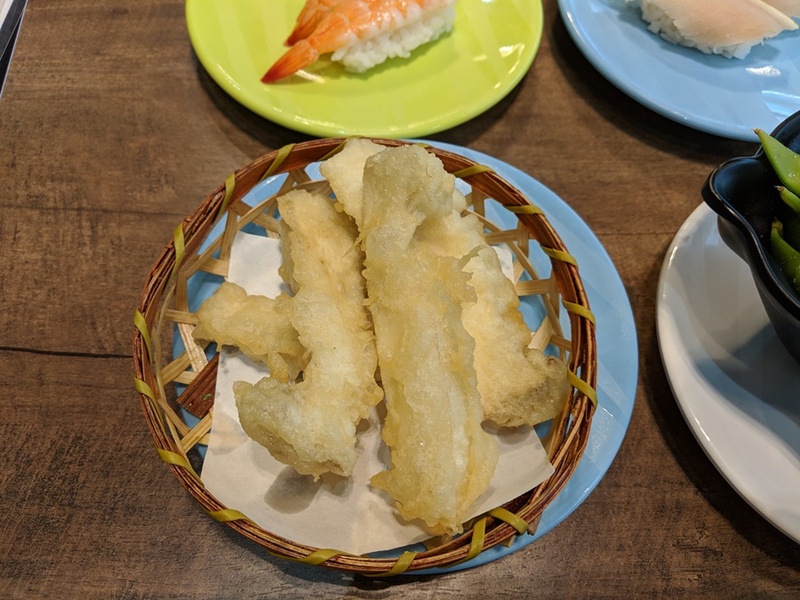 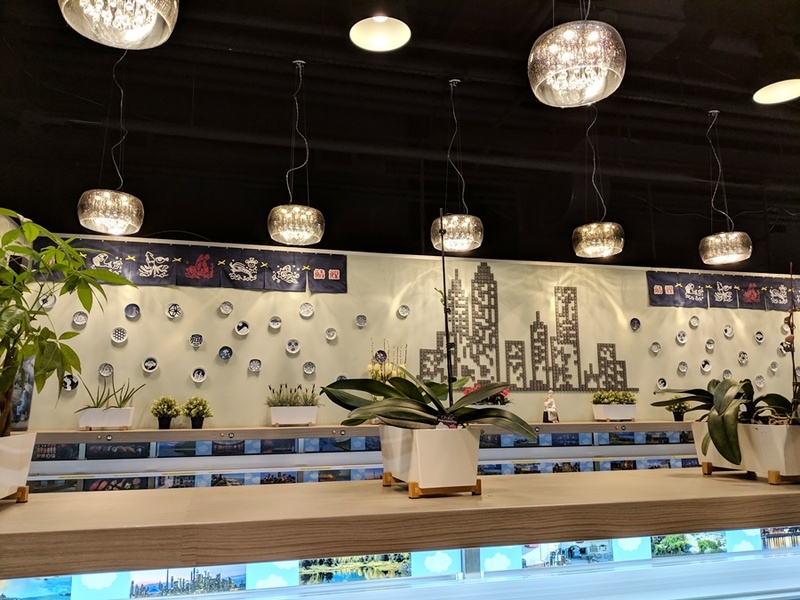 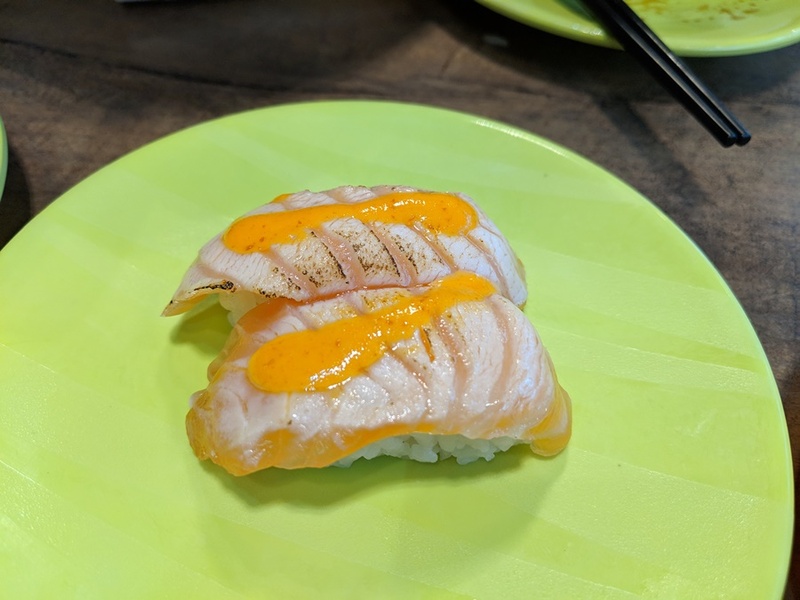 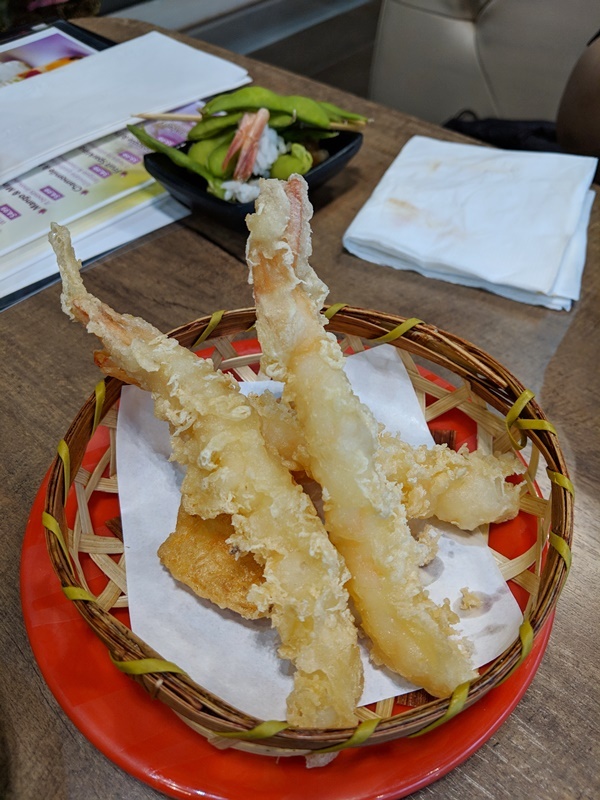 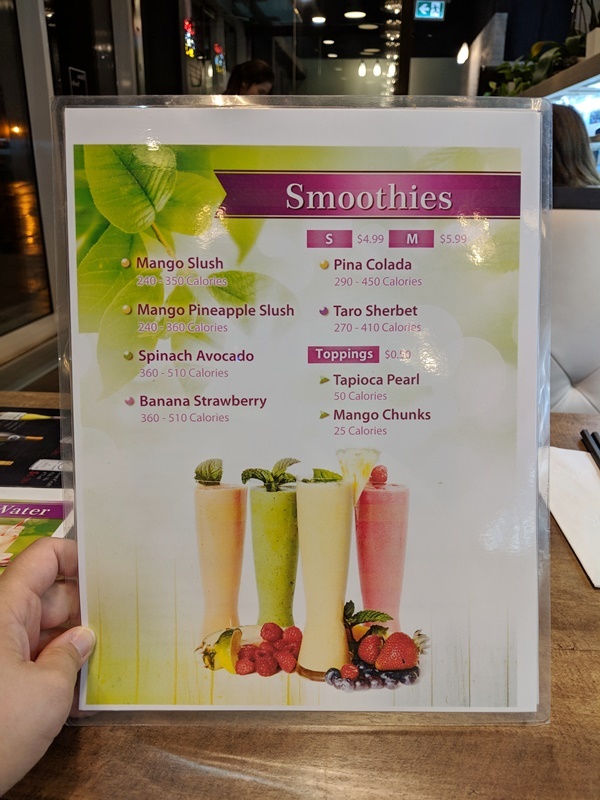 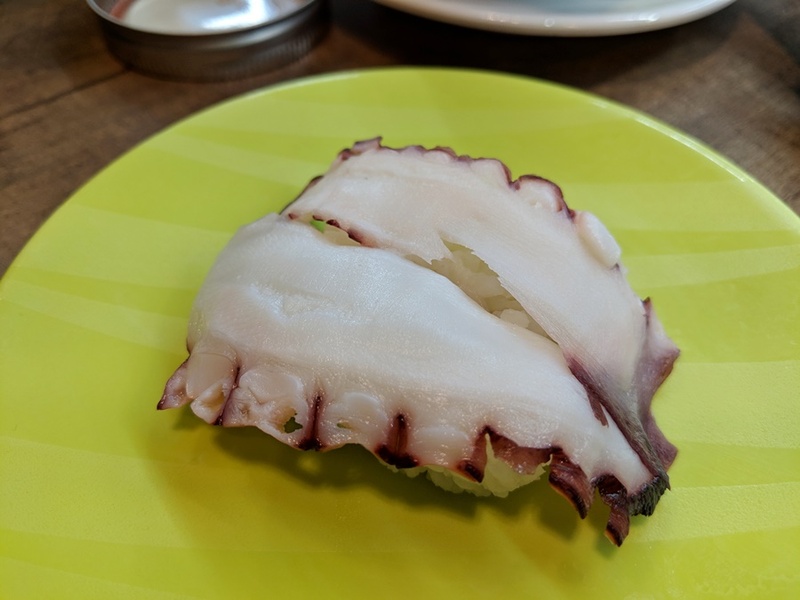 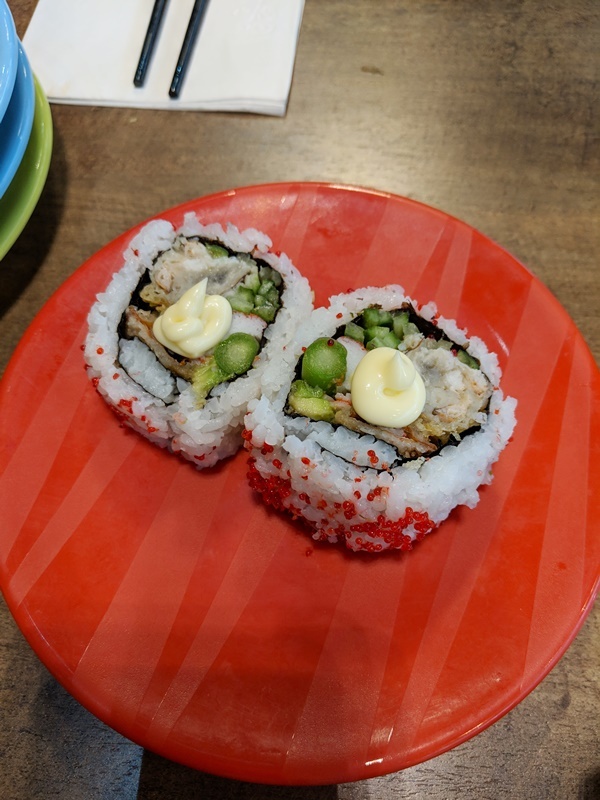 There are booth table seats that can fit 4 people and there's even a counter seat for solo dinning and even pre-made take outs of sushi tray that you can purchase to go as well. Overall, I had a pretty good experience eating here. 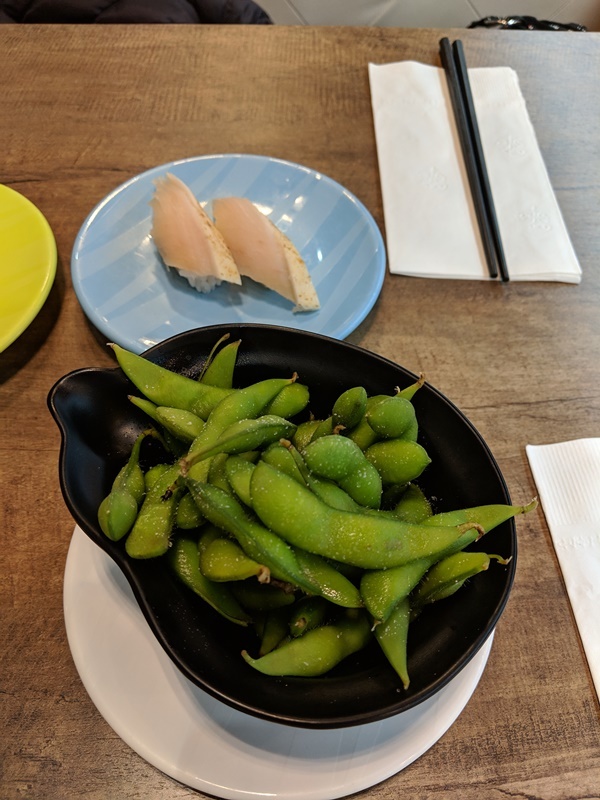 I went for dinner and would love to go back for lunch on another day.